Cashew is a tropical and sub tropical evergreen tree. Cashews were introduced to India by the Portuguese. India is the largest producer and exporter of cashew nuts in the world. About 65% of the world’s cashew is said to be produced from India. The cashew kernels are obtained after processing of the cashew nuts. The various process involved are steaming, shelling, drying, peeling and grading. The cashews are first steamed for softening the shell. It is then split into two halves so that the cashew inside can be removed easily. The cashew skin is then removed by first drying it and then peeling off the skin. These cashews are then graded and packed separately. 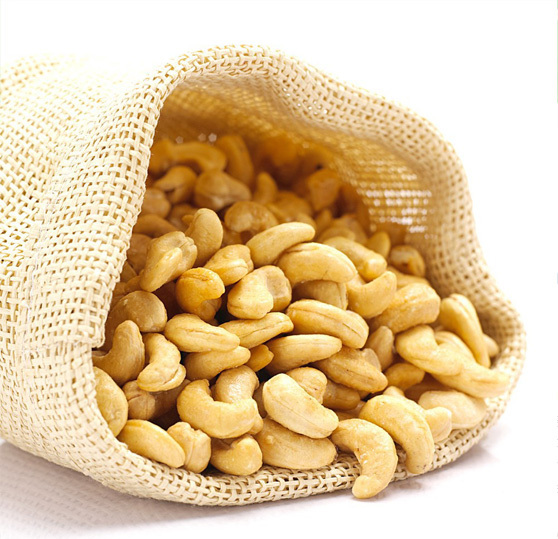 Cashew is very rich in proteins and minerals like sodium, calcium, magnesium etc. They can be consumed as a supplementary diet by lactating women, children and recovering patients. It can be considered as an energy rich food. They can be used for treating diseases like anemia, scurvy and nerve weaknesses.